We left our last installment with . . . "She'd been near despair, as she'd begin to fear that all the dire warnings and predictions she'd heard prior to her trip to visit me might have come true. I assured her that my affection for her was very real, and that I was very much a man of my word." Yes my dear reader, it was a real wonder that my Serafina ever made it to meet me, as a number of individuals had taken it upon themselves to prevent our meeting from ever happening. You see, Serafina and I did meet first online . . .
As Serafina and I walked to the car, I very much wanted to bring up the turmoil at her website, where a battle for the very soul of what Serafina was working to accomplish had been occurring. It was an emotional issue for us both, but it wasn't the kind of thing one discusses walking through airport concourses, at least not here in the US. Instead, as we were greeted by a picture of a smiling Richard M. Dailey with the caption, "Welcome to Chicago" as well as some marketing catch phrases, I decided to give Serafina an introduction to life in Illinois. I guess I was probably trying to show off a little too, although I actually detest folks who practice name dropping like it's an art, I know I was guilty of that myself. "That's "Richie Rich" as I like to call him privately," I said, nodding at the poster as we walked past. "Although most folks call him Hizzoner," I continued, "To his face, it's always Mr. Mayor. He's without the doubt the most powerful man in the sate," I confided. "His Father was Mayor before him," I added, conveniently leaving out the power vacuum that occurred with Richard J. Daley's death, the Jane Byrne and Harold Washington eras. "Daddy was the one who stole the votes to elect President Kennedy back just before I was born, and it's his machine that rules city politics still today." Serafina, while looking pleasant enough, didn't seem to be terribly impressed by my stories of machine politics, so I was thankful that my truck was quickly approaching. "That's my Toyota over there," I said, pointing at a black 4x4. I unlocked the passenger door and helped Serafina step up on the running board and into the cab, before excusing myself to lock her luggage in the back. Once I joined her, I took more than a moment to just look Serafina in the eyes. With my only planned line and move of the day, I said, "I've been waiting for this for a long time," as I grabbed the back of her head and kissed my darling friend for everything I was worth. It felt like she melted, at least a little, and I felt goosebumps on her arm when I finally pulled away. I know her smile was brighter after that first truly passionate kiss. Serafina grabbed my right hand tightly, as I pulled away from the parking area to begin our drive home. "She's at home right now making sure everything's ready for your arrival," I replied. "She's really excited about your visit and she wants to make everything perfect." "Oh, I just thought she'd be along," she added. 'You know we haven't even lived in our own home since Mom tore her achilles tendon and needed help," I told Serafina, "So your visit helped give us the excuse to finally escape. I don't want to sound callous, but Mom has been able to get around well enough to care for herself for some time, but she's been incredibly needy ever since Dad left her, and the achilles tear just compounded everything." Just as I was finishing my soliloquy about being a caregiver, it came time to pay a parking lot attendant, so I reluctantly had to pull my hand away from Serafina's grasp in order to grab some cash. Soon enough I'd merged into interstate traffic, and was able to return my hand to Serafina's tight grasp. "So, should we discuss all the drama at your website?" I asked. "Oh Michael, I just don't know . . . " Serafina replied before trailing off in thought. After just a brief moment, that somehow seemed interminably long, she said. "I'm here to see you, and I'd really like to focus on that." Serafina continued speaking softly, saying, "I don't want anything associated with that site, the petty squabbling in the forums, all the fighting and nonsense, to cause problems for us while we are here." I had to lean over more closely towards Serafina, to better hear what she was saying. She leaned in more closely herself, like she longed for nothing more than to just curl up in my arms, and grasped my hand more tightly in hers. "Just know the only thing I want, my only agenda, is to help you fulfill your vision . . ." I said, trailing off, my sentence and point still unfinished. I wanted to tell Serafina that I'd fallen in love with her vision for helping others before I ever fell for her, yet I knew that wouldn't come out sounding correct. "Frankly dear, I don't care what Bud, CT, or Lily . . . I don't care what any of those other fools want, or even what they say," I blurted out. "It's YOUR site, it's YOUR vision, it's YOUR mission, and I want you to know that I'll fight for that, and I'll fight for you," I added, starting to get myself a little worked up. I've always had a terrible penchant for fencing windmills it seems. Mom always said I relished the act, saying I'd mount my white charger, grab my lance, and charge off to battle like a knight errant. "THEY don't know you like Bliss and I do, THEY have never been to visit your home and your family, THEY don't know the name of your childhood horse, or ANY of the other important things about you." "Michael, why don't I set up a site for just you and me . . . I'll walk away from CK . . . We'll start our own . . . " my Serafina began to reply. Before she could finish her sentence I stopped her. "No," I said, "That's too big a sacrifice for you to make." "Did you ever read my beehive essay over at MSP?" Serafina asked. "I'll show it to you when we get to your house," Serafina stated. "It's a parable," she added. "The bottom line is pretty simple though." "OK," I said, growing curious. "Sometimes it's time to start a new hive, and that decision rests with the queen bee . . . " Serafina said trailing off again. "What's wrong, did I offend you?" Serafina asked, drawing away. 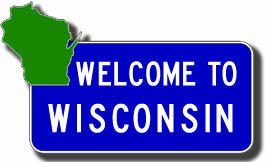 "No darling, the sign we just passed said - 'Welcome to Wisconsin' - meaning . . . " I trailed off with embarrassment. "Meaning, for the last half hour I've been driving in the wrong direction," I said, my face turning red. "Oh well, that just gives us more time together, just you and me," Serafina replied, snuggling back in against my arm. I reversed course at the first exit I found. Looking over and down upon a smiling Serafina, I said with a wink . . . When travelling with my grandmother as passenger it was like you'd just entered hell. That was a very endearing story. I had a clear image of the 2 of you in that truck and the smiles and the flush I'm pretty sure rose now and then on Serafinas face. Too sweet! Really can't wait to read more. Oh there's more. . . a lot more! !